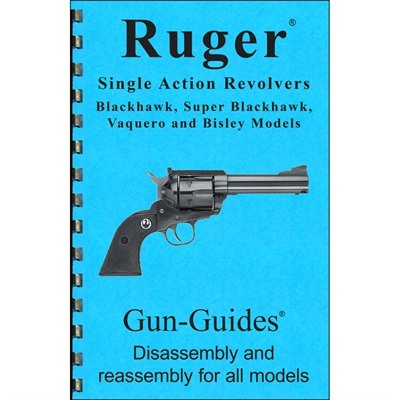 Ruger Single Action Revolver Assembly And Disassembly Guide Gun-Guides. Hi-Point Pistols Assembly And Disassembly Guide Gun-Guides. 1911: The First 100 Years Gun Digest. Nra Guide To Pistols And Revolvers Nra Publications. 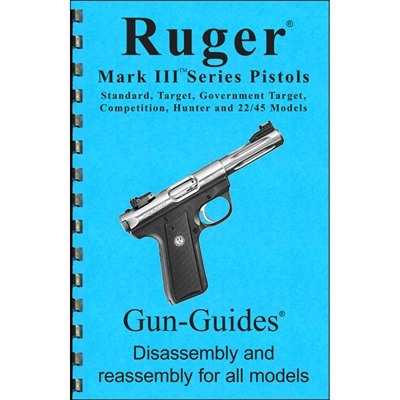 Remington 1100 Assembly And Disassembly Guide Gun-Guides. Remington 870 Assembly And Disassembly Guide Gun-Guides. Winchester 1300 & 1200 Shotguns Assembly And Disassembly Guide Gun-Guides. 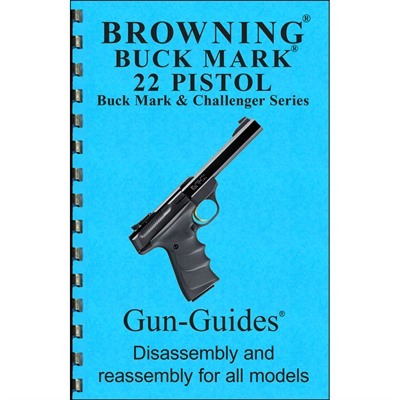 Mossberg 500, 535, 590, & 835 Assembly And Disassembly Guide Gun-Guides. 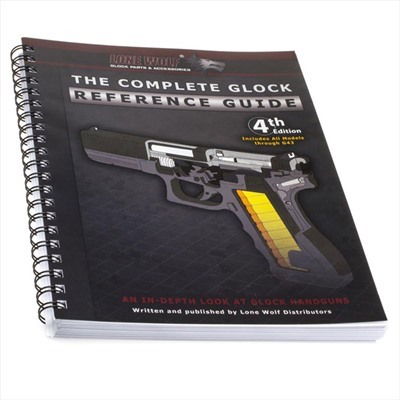 The Complete Glock® Reference Guide Lone Wolf Dist..
From David Crocket with “Old Betsy” to the mountain men and their Hawkens to the buffalo hunters and their Sharps and Winchester ‘73s- these are the rifles that fire the imagination of both hunters and historians. Now, Gun Digest Presents a unique compilation of articles celebrating these iconic guns. 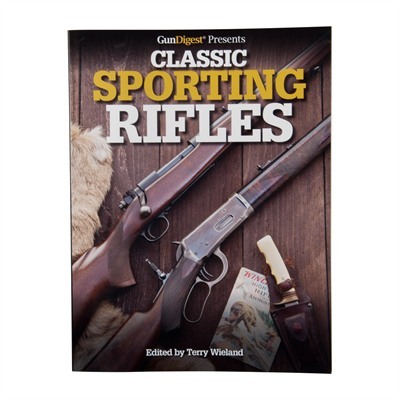 Classic Sporting Rifles, written by a “who’s who” of gun writers from the twentieth century, includes stories by: Col. Townsend Whelen (aka, Mr. Rifleman), Elmer Keith, Jack O’Connor, Warren Page, Jim Carmichel, and more! Between the legendary writers- their fascinating lives, interests and adventures- and the iconic rifles, this volume has something for everyone. For the hunter, the historian, the gun collector, and anyone who just loves to sit by a fire when it’s raining outside and read about guns, Classic Sporting Rifles is a mist-have resource. Major General Julian S. Hatcher follows the evolution of the M1 Garand from the first semiautomatic hunting rifles to the devasting U.S. infantry weapon of WWII. It’s a battle royal of weapons design, with dozens of unforeseen problems sending inventors back to the drawing board and a scandal-hungry media waiting to discredit the guns favored by the military. Garand’s fierce competition includes such legendary companies and inventors as Winchester, Colt, Johnson, Thompson, and the author himself. Hatcher follows the rigorous target and field tests that each gun underwent, leading to numerous revisions and the eventual adoption of Garand’s rugged rifle. It is a difficult struggle lasting over a decade and a half, and a vital and unsung part of the war effort. In addition to the story of the Garand, Hatcher offers detailed explanations for cleaning, repairing, and firing this historic rifle. 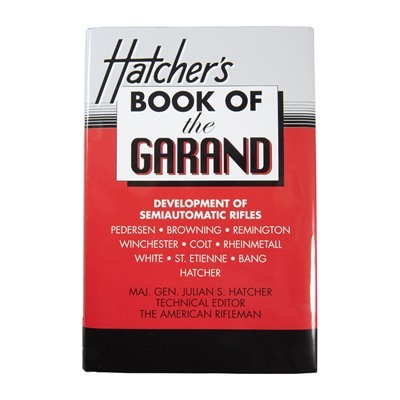 The Book of the Garand is an indispensable part of any gun enthusiast’s library. PTOOMA Productions. 8½" x 11". Softbound. Over 300 pages and over 400 photos. Tells you everything you ever wanted to know about Glock pistols with photographs, diagrams, and technical specifications. Detailed chapters cover topics such as safety devices, field-stripping, cleaning, function testing, performance and customization, and more. Included is a torture-test of a Glock G23 pistol, subjecting it to ice, dirt, mud, water, and other extreme test conditions. A report of how the pistol survived is given after each test. Also included are diagnostic checklists and serial number listings. 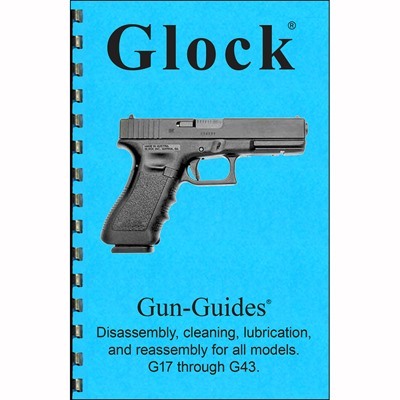 An invaluable resource for the Glock enthusiast and gunsmith. Includes all models through G43. When launched, the Smith & Wesson SW22 Victory pistol was built to provide an easy-to-maintain pistol platform for owners. 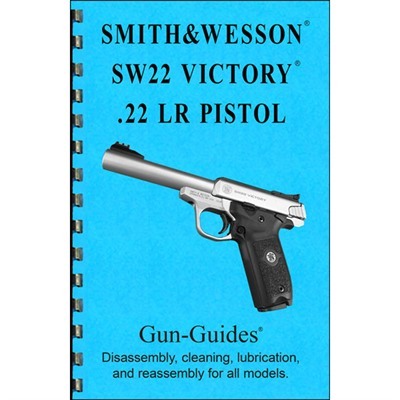 However, there are plenty of easily missed details on this gun, and the Smith & Wesson SW22 Victory 22LR Assembly and Disassembly Guide provides all the information needed to understand every part of this handgun. One of the stand-out features of the Smith & Wesson SW22 Victory 22LR Assembly and Disassembly Guide is a breakdown of each individual part used in the construction of the gun. Also included in the guide are illustrated instructions that provide an easy guide for owners looking to ensure proper functioning in their rimfire pistol. A unique element of the Smith & Wesson SW22 Victory 22LR Assembly and Disassembly Guide is the inclusion of several insider tips from industry professionals that give users a leg up when keeping their gun running on the range. 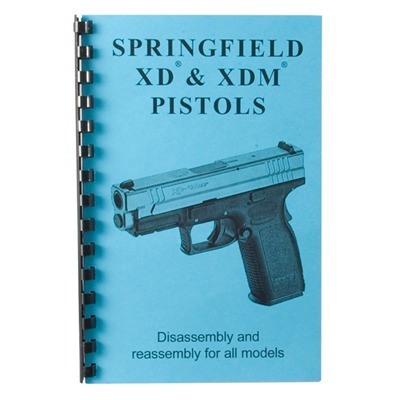 Handy soft-cover guides contain newly written, detailed field stripping, disassembly, and reassembly procedures for popular firearms. Features easy-to-read parts schematics and concise, step-by-step disassembly instructions illustrated with large photographs. Includes special re-assembly “tricks-of-the-trade” that help make sure the gun functions properly when you’re done. Short, historical background on the design and development of each firearm adds to your understanding. Spiral bound to lay flat and stay open on the bench. 16 pages. 5½" x 8½". 20 photographs. 7 illustrations including parts schematic. 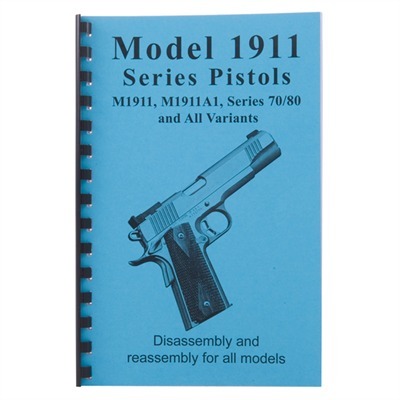 Covers M1911, M1911A1, Colt Series 70/80, and clones. One of the most popular striker-fired handguns on the market today is the Smith & Wesson series of M&P pistols. For owners of this reliable platform, the Smith & Wesson M&P Assembly and Disassembly Guide provides all the details on these duty-ready handguns. 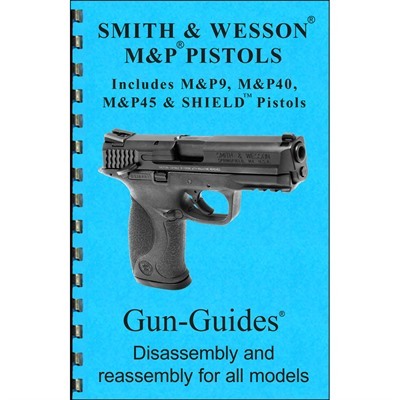 Complete with breakdown diagrams detailing every individual part, the Smith & Wesson M&P Assembly and Disassembly Guide ensures that owners have a complete understanding of their gun. The guide also includes easy-to-understand instructions for getting your gun running right, thanks to tricks and tips from industry professionals. Best of all, the Smith & Wesson M&P Assembly and Disassembly Guide includes details for every model in the M&P lineup, including different caliber options and the single-stack Shield.